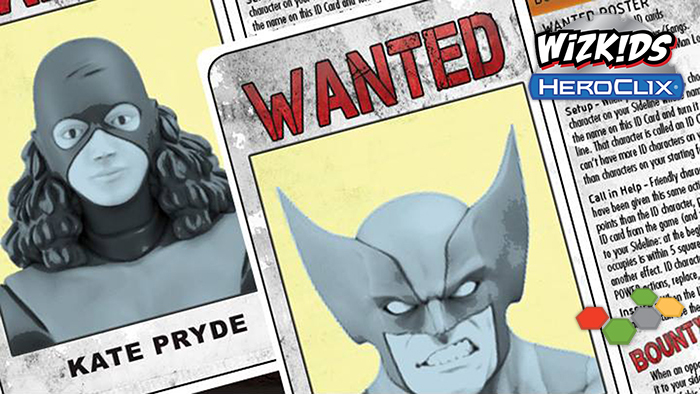 Starting in Summer 2018, players will get a chance to play at their local gaming store to earn Days of Future Past Wanted Poster ID cards. If players amass enough points across the entire event to become the winner of the entire Storyline OP Event and earn a terrifying and never-before-Clixed Tri-Sentinel! This event will be the second of three sealed events over July, August and September. • A win in the first event (Early August) is worth 3 points, and a loss is worth 1 point. • A win in the second event (Late August) is worth 5 points, and a loss is worth 2 points. • A win in the third event (September) is worth 7 points, and a loss is worth 3 points.